This is another first year bloomer. The bloom in the foreground was determined to open during last week’s cold weather. His buddy followed on Saturday and Sunday when it was much nicer outside. We transplanted this one last year to a far corner in the front yard bed where there really wasn’t any flowers. 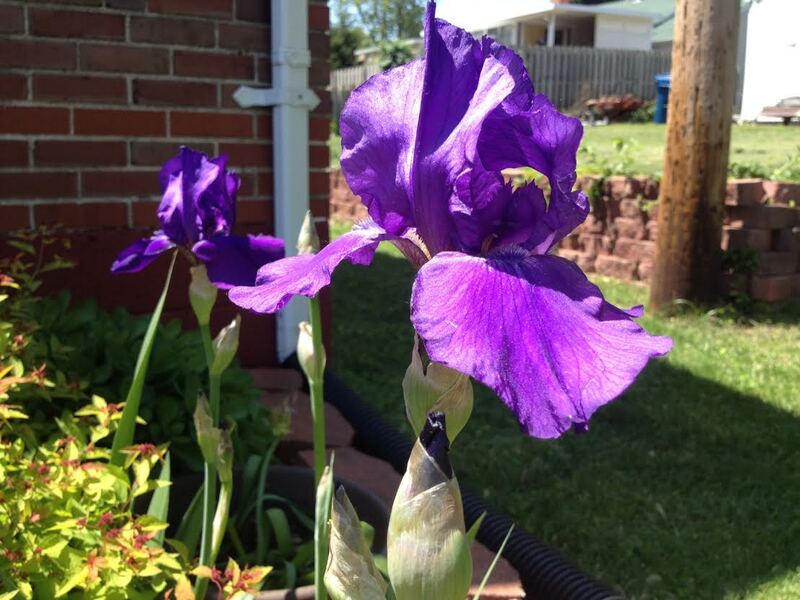 It paid off since the iris bloomed for the first time this year. It’s a nice, rich solid purple but we have another one that is even darker that I will show you tomorrow. Yep, same flower, just taken at a different time of day. Early picture of the first bloom opening last week. Notice the petal on the right in the back is not completely down.